Ah Maine. It is a special place. More so because of spots like this one. 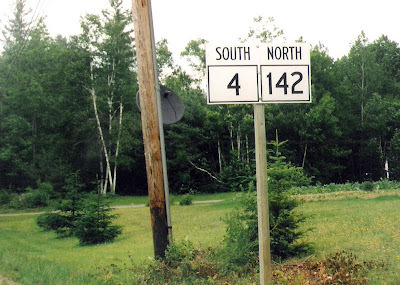 A little known fact about Maine, is there are pockets of directional malfunction, where it is actually possible to be traveling in every direction at the same time. Scientists refer to these spots as Non-occluded Spatial Coordinates. Let me tell you, it is a weird sensation to drive through one, but be warned, it will probably make you late for your BBQ.